"Helping DRL fans understand the complexity of our courses and the insane skill required to master them is a very difficult task, requiring creativity and endless attention to detail. PS1, (Jamie Gibson and Francis Jones) has been instrumental in helping us convey many of its complicated facets, through demonstration of technical maneuvers, craft functions (building the 3D Levels), and animation of extensive 3-dimensional course routes. They've become a key contributor in our effort to increase awareness and in-depth understanding of professional drone racing. Their animations, integrated into our content on a number of distribution networks, have become an important part of bringing the sport to the public in a way that's palatable and accessible." 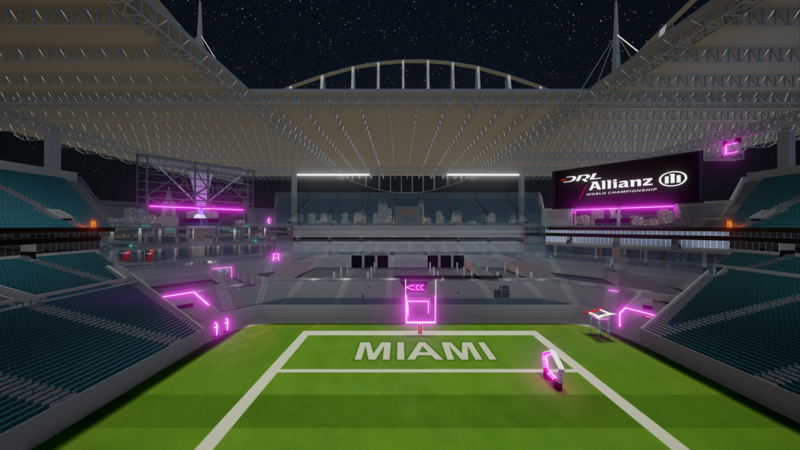 As drone racing continues to evolve, the ability to communicate the sport's foundational elements with its fans has continued to be of the highest importance. DRL's work with Promethean Studio 1 to create flight maneuver and course routing animations is integral in explaining abstract concepts and physical orientations to fans who want to engage with the sport but must first understand some of its less intuitive elements. The use of animated course routes allows DRL to more effectively convey the designs of even its most extreme 3-dimensional race tracks. From a more granular perspective, custom flight maneuver animations help to better explain racing strategy, the differentiating factors in pilot skill, and bring audience members new perspectives on unfamiliar concepts. ​ Together these elements are a powerful addition to the show and invaluable in helping DRL effectively engage its audience. Promethean Studio 1 created the digital content , rigging and animation for the following videos.